There is a fantastic description of her in The Secret History by Procopius. That’s quite a description in Procopius! I love your profile rendition of her; you’ve captured her nose and jewelry so well. I haven’t been to Ravenna in years – what a great place. 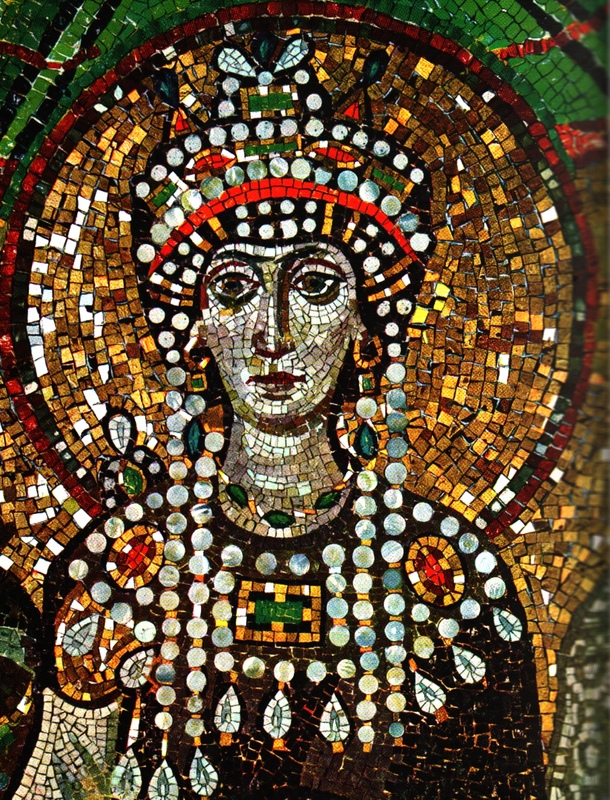 Hahaha–that Theodora! Thanks so much for your great comments. And I love Ravenna too–a highlight of my trip to the Bologna Book Fair last month. It was so peaceful and sunny and easy to walk around–really the perfect day trip. Annina, I love it! So beautiful with all of the jeweled details. How long did it take you to do this painting? Hi Robin–it took about 8 hours 🙂 It was relaxing for me, kind of like needlepointing, which I like to do. I’m a lover too…nice job! 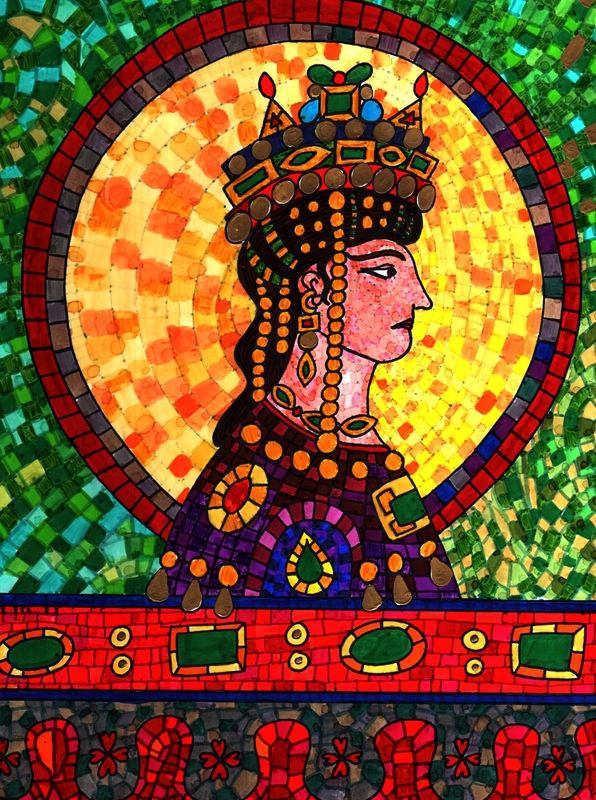 Love where you inspiration came from Annina, that mosaic is exquisite and I can see why it would inspire your gorgeous art. Thank you so much. What a wonderful surprise. I will read about this now and hope you are having a beautiful week.